Sinn Féin Senators were successful this week in passing a bill through second stage in the Seánad to ensure workers, particularly in the hospitality sector, can keep their tips. Led by Senator Paul Gavan, the bill seeks to amend the National Minimum Wage Act 2000 to provide additional protections for employees in the service sector, and to ensure they receive tips or gratuities paid by customers. The Bill would make it illegal for an employer to withhold, deduct, or demand the return of a tip from an employee without a lawful excuse. Employers would also be required to display their tipping policy either on their menu or in another suitable manner, so that customers have transparency with regard to whom and how their tip is distributed. 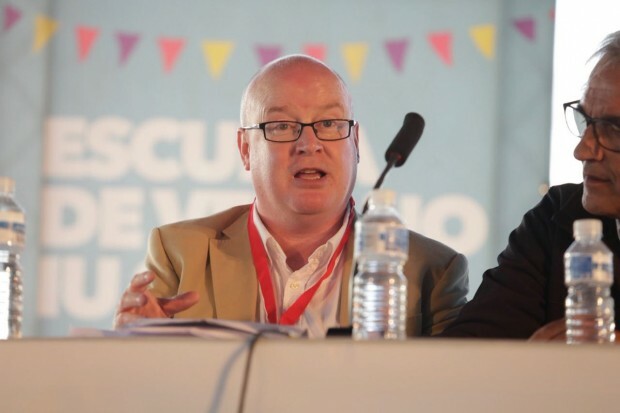 Paul Gavan, Sinn Féin’s Seanad spokesperson on Workers’ Rights, said the bill would give protection to employees who work in a sector dominated by low pay and precarious work. Senator Gavan said: “The hospitality sector is a crucial part of our economy here and employs 150,000 people across the state. This bill will make a real difference to a great many people and give them some badly needed protection with regard to a vital part of their earnings. "Good employers have nothing to fear from this bill, as they will already be passing on their tips to their employees. Numerous surveys and testimonies in the past have highlighted the fact that workers are often denied the right to take home tips they have earned, including a piece of research carried out by Sinn Féin in Galway in 2017. The survey found that 34% of the 400 respondents had experienced the regular withholding of tips by their employer, which has been described as “unacceptable” by Senator Gavan. Senator Gavan continued: “The British government has also recently published a report which found serious issues regarding the withholding of tips and mismanagement of shared tipping schemes. That review is now looking at potential legislative changes. “Workers in the hospitality sector work hard for their tips and they should be protected by the law."